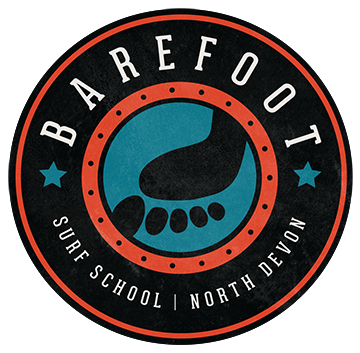 Barefoot Surf School offer a hire facility for Surfboards, Wetsuits and Sandboards. This is available to customers who have had a beginners lesson with us and are therefore familiar with the safety aspects of surfing. We are continually increasing our range of kit to cater for all levels of experience and individual needs. Surfboards: Softboards, the latest epoxy core semi-softtops, fibre glass moulded and custom shortboards, minmals and longboards. Even some surfcraft you may not have tried before! : Inflatable surfmats, racing Mals (Surf Lifesaving Paddleboards), Stand-up paddleboards and C4 carbon fibre paddles, Alaias (Hawaiian finless boards shaped from Paulownia wood) in a variety of sizes and shapes. Pod bodysurfing tools (a handheld hydrofoil). Wetsuits: Spring and Winter wetsuits, boots, gloves and hoods. Sandboarding kit: Sandboards (for both regular and goofy foot), sit down boards, sand discs and helmets.